The workshop runs from 9:00 am – 4:30 pm. To download the course description and agenda, click here. Be sure to register soon, as seating is limited! 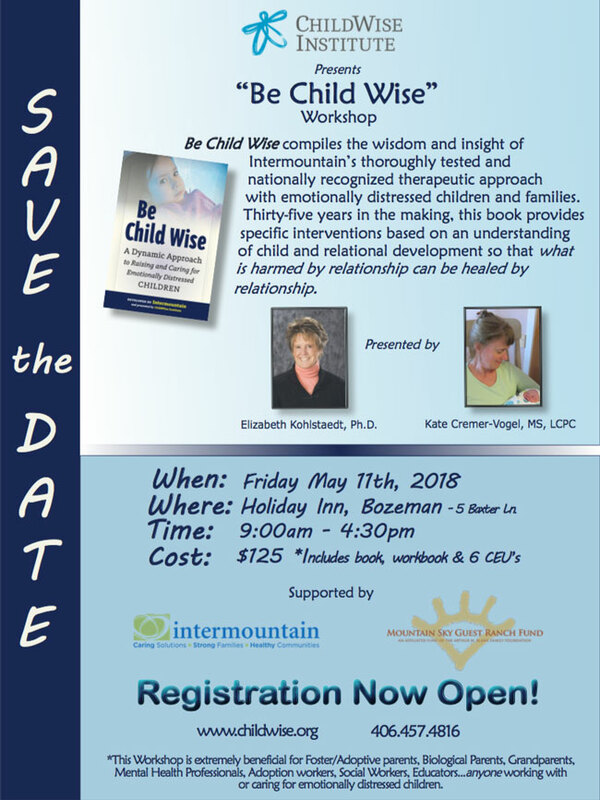 Be Child Wise compiles the wisdom and insight of Intermountain’s thoroughly tested and nationally recognized therapeutic approach with emotionally distressed children and families. Thirty-five years in the making, this book provides specific interventions based on an understanding of child and relational development so that what is harmed by relationship can be healed by relationship.